We are very excited to announce our non-academic Keynote Address on Saturday will be presented by Merril Hoge. Merril was drafted by the Pittsburgh Steelers, where he played until 1993. He led the team in rushing and receiving in four of his first five years, setting a record in his third year for receptions by a running back. He was the Steelers Iron Man of the Year two years in a row (1989 and 1990) and was named to the All-Madden team in 1989. In 1993, Merril went to the Chicago Bears, where he played for one year until he was forced to retire early due to post-concussion syndrome. At the time of his retirement, Merril had the longest consecutive playing streak in the NFL. The Second Matthew Gfeller Neurotrauma Symposium at the University of North Carolina at Chapel Hill on March 8-9, 2013 is right around the corner. There are a few spots left. We have informed you earlier of some great speakers we have lined up including, but not limited to, Dr. Christopher Giza, Dr. Robert Cantu, Dr. Michael Collins, Dr. Gerry Gioia, and some of our other local, regional, and national colleagues. A final schedule of topics is available on our website. Additional information regarding the event, including a link to register, is available at http://tbicenter.unc.edu (click on “TBI Symposium” in the header). A direct link to register for the meeting is as follows: http://tinyurl.com/c576kdu. 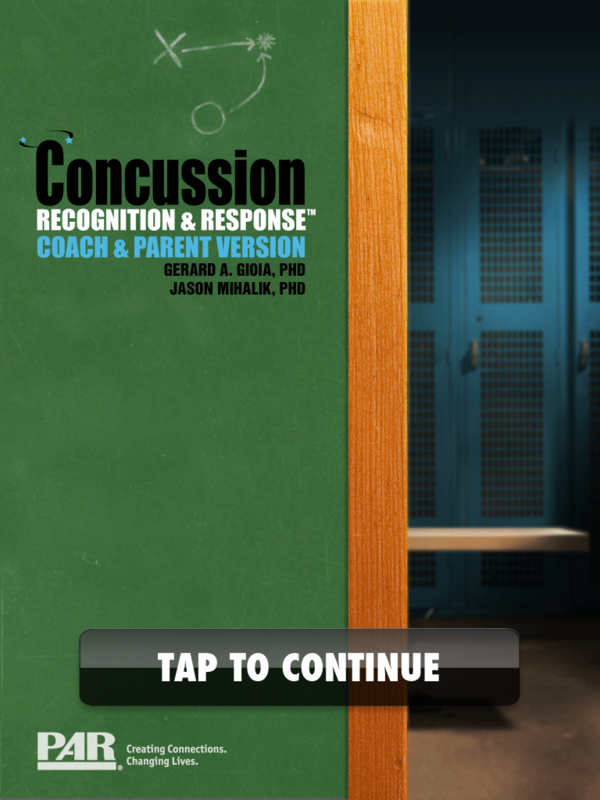 Concussion Recognition & Response App is what it is called, however what it can do can be very helpful for those looking to help an athlete in need after a possible head injury. With any medical app’s for smart phones it DOES NOT replace a clinical evaluation by a medical professional. That being said any “layman” using this technology will easily be able to discern if the current injury need to go to an ER or sit out until evaluated by proper medical personnel.